It is estimated that there are currently more than 225,000 people living with diabetes in Ireland. By 2030, it is estimated that there will be almost 280,000 people living with the condition. 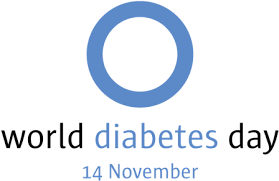 In Ireland, diabetes has a prevalence rate of 6.1% in the population, meaning that approximately 1 in 20 people are living with diabetes. Diabetes is a condition where there is too much sugar (glucose) in the blood and while glucose is an essential energy source for all of us, complications can occur if it is too high over a long period of time. Type 1 diabetes tends to occur in childhood or early adult life and always requires treatment with insulin injections. It is caused by the body’s own immune system destroying the insulin-making cells (beta-cells) of the pancreas. Type 2 diabetes usually develops slowly in adulthood. It is progressive and can sometimes be treated with diet and exercise, but more often it may require antidiabetic medicine and/or insulin injections. The more of the above that apply to you, the more likely you are to have diabetes or pre-diabetes. A simple blood test with your GP is therefore essential.